N.O.S. condition BLACK LEFT HANDED P90 `53-57 Les Paul Custom type. 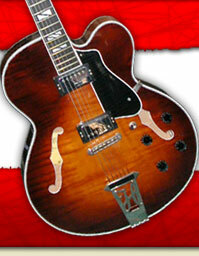 A lefty L.P. with P90s of any description is always hard to find, virtually unheard of in this budget. Only showing very minor shop wear, a prime candidate for a pickup swap mule or simply ROCK OUT with it as is!